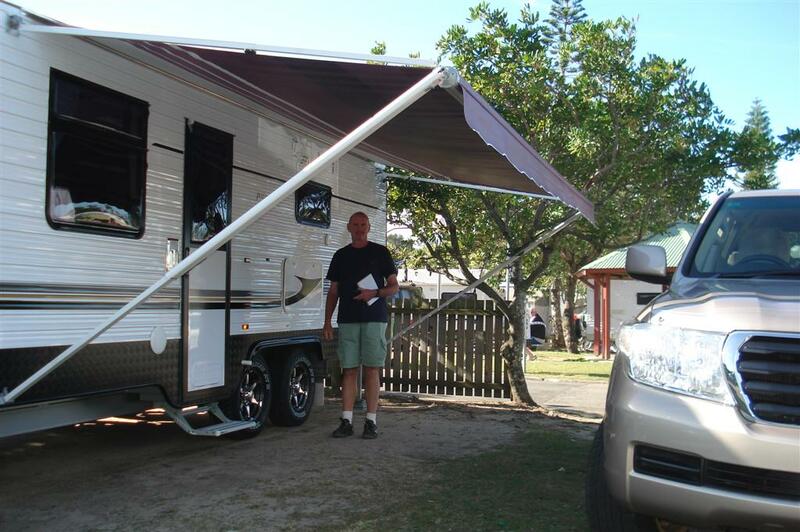 Decided to travel all of 8 Kms to set up for the first time at Cotton Tree, Maroochydore. It is really surprising how many bits and pieces you need to make a complete caravan home. Our first experience of those who have ‘been there and done that’ – the guy from the next site came over and started to let us know how bad the TV reception was at the site. Then I pressed the button that made the satellite dish on top of the caravan open up and automatically found the Austar satellite – he was impressed !